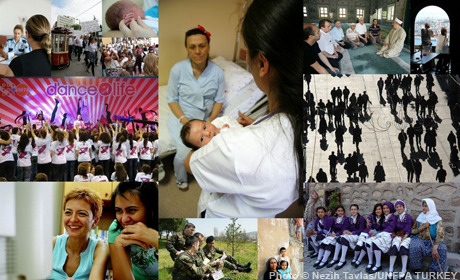 UNFPA assistance in Turkey began in 1971. Though maternal mortality has declined, progress varies by region and youth have limited access to sexual and reproductive health information and services. UNFPA programmes help improve health services to reduce maternal mortality and high-risk pregnancies, and extend reproductive health services to vulnerable groups, including youth. UNFPA programmes further support the advancement of women’s human rights and combat gender-based violence. They also assist with data on emerging population issues, such as migration and ageing.